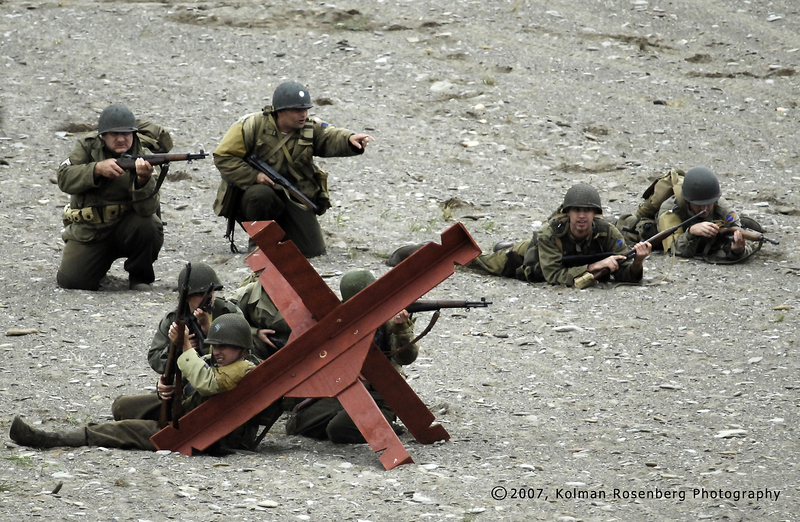 In my run-up this week toward Memorial Day, the photos continue to illustrate the D-Day Reenactment in Conneaut, OH that is performed each summer. In this photo, taken with a long telephoto lens, U.S. Army reenactors advance up the beach toward the enemy positions on the bluff. This entry was posted in Uncategorized and tagged army, battle, beach, bluff, Conneaut, D-Day, ohio, reenactment, reenactors, world war II. Bookmark the permalink.